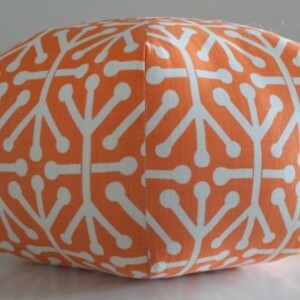 18" Ottoman Pouf Floor Pillow Aruba in Tangerine. 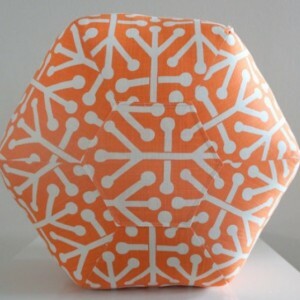 Need something fun and unique for your home? 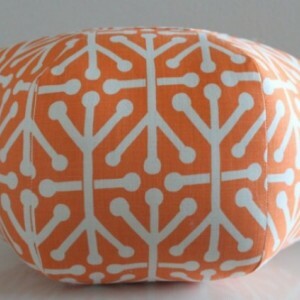 Try an ottoman pouf floor pillow! It's such a versatile piece and of course, kid-friendly! 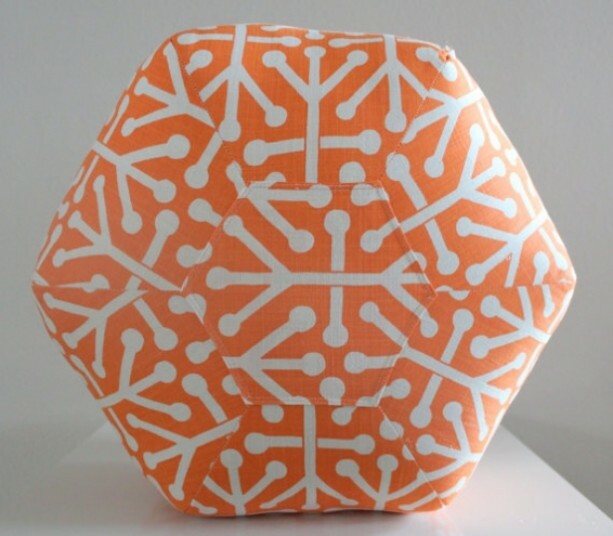 It's perfect for relaxing in your living room, bedroom, kids playroom, or nursery. 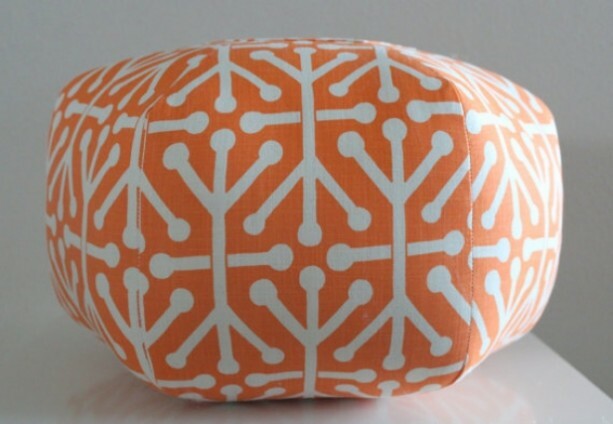 Uses: - ottoman or footrest for nursery glider - coffee/occasional table - floor pillow - bed for a pampered pet - or simply a one-of-a-kind addition to your decor Materials: - Sturdy home dÃÂ©cor fabric. - Fabric is pre-washed to prevent shrinkage. 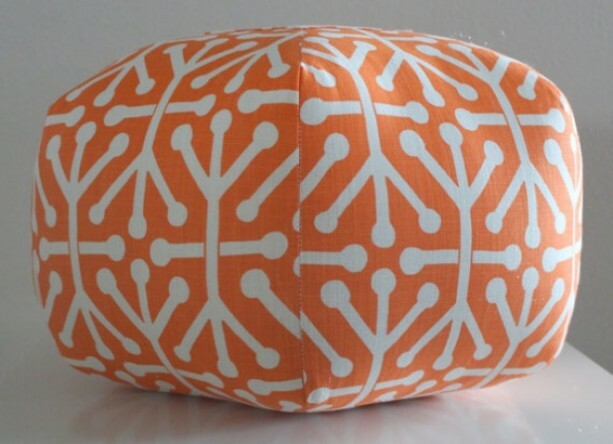 - Top and bottom seams are secured with additional panels to ensure durability and to extend the life of your pouf. - Pouf comes fully stuffed with 5 lbs of 100% premium polyester fiberfill padding to maintain shape and provide firm support. - Stuffing is non-allergenic, resilient, and prevents bunching. - Zipper closure for easy cover removal for occasional cleaning. - Seams are serged for a finished look and to prevent fraying. Dimensions: Width: 18" diameter Height: 11" Size variations are available, please contact me with your specific size requirements Shipping: - Ships via FedEx Home Delivery Care instructions: - Machine wash using cold water and mild detergent (Woolite). Drying is not recommended, air dry only, do not dry clean. ~THIS ITEM IS MADE UPON ORDER Thanks for stopping by!